Audio killed your video, Star. That’s the parody of the 1979 classic I hummed after shelving a video project I’d been working on for what felt like half the day. I’d set up my Nikon D300s and studio lights to record a video. Nothing worked. The on board audio sounded crappy, and my microphone produced a wicked buzz. All my attempts to try and amplify the sound with computer software proved fruitless. I needed a new microphone. Without it, my video will always lack a main ingredient - quality sound. Audio-Technica ATR6550 : Condenser Shotgun MicrophoneToday’s digital cameras now boast hi definition video capabilities, leading most consumers to think that they can now ditch their camcorders and produce award-winning multimedia projects just with their cameras. Not so fast. The audio quality you get from most digital cameras will likely not match the same quality of the video. And nothing will kill a great video faster than bad sound. I was reminded of this when I read two articles in DigitalPhoto Pro recently. One article reviewed external microphone options and another delved into a more sophisticated option - recording the sound with a separate recorder and syncing it to your video. Why would you need these options? When you record video with your camera’s on-board microphone, it is typically too far from your subject. If you are recording someone who is speaking, the microphone picks up all the noise between your lens and your speaker. Many times the volume of your speaker will sound too low, and if you are outside, you’ll likely hear too many distractions. Worse yet, if you try to zoom in or out, the microphone will pick up the camera’s actions. Talk about distracting. No need for me to review them, since DPP has done all the work. If you’re looking for a more sophisticated alternative, consider using an external recorder that you can place closer to your speaker. You can pair this with a shotgun mic as well for better results. Once you’ve finished your recording, you can sync the audio to your video in your favorite video editing software. I know this sounds super technical, but if you are already handy with software like FinalCutPro, the technique won’t be that difficult to master. You likely already work with your sound channel separately. 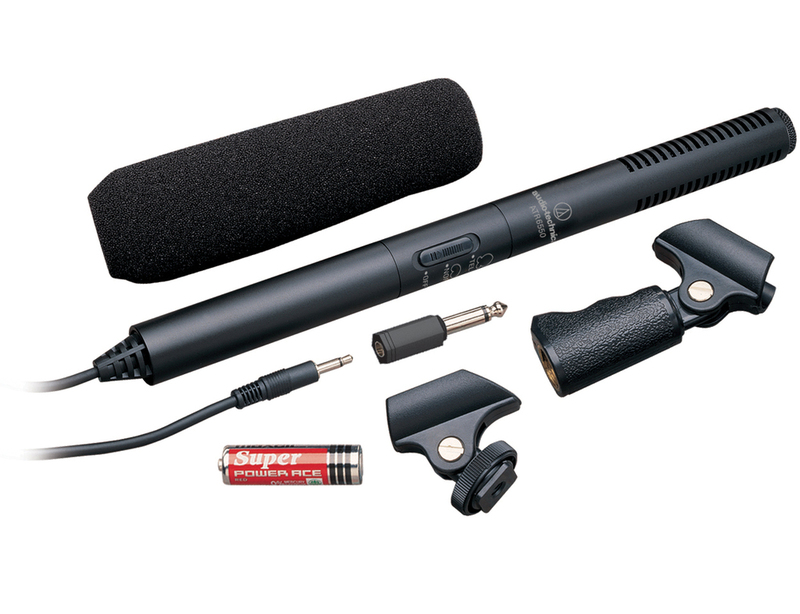 DPP offers a look at three alternatives of external recording solutions that range from $300 to $1,800. This clearly isn’t a good solution for home movies, but if you want to create a professional looking and sounding product, it could be worth a try. The bottom line is that while your camera can capture breathtaking video, if you want the audio to match, you’ll need to give it a boost from somewhere else. If not, you might find yourself singing my ditty, Audio killed the video, Star... Trust me, there’s no joy there.